How perfect that I discovered this video yesterday … on January 1st? It’s a studio “performance” of “New Year’s Day” — but the band is just playing along to the album version, so it’s not really a live performance. The YouTube description & comments indicate that it’s from French TV, but I don’t know when or where. 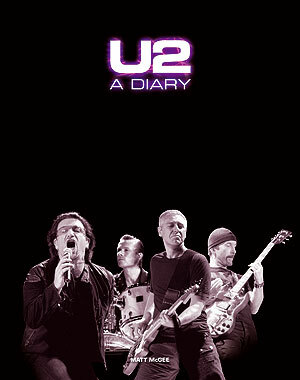 And in the first edition of U2-A Diary, there’s no mention of a French TV documentary/appearance. So … anyone know anything about this? I’ve found a videoclip of “Two Hearts…” from the same tv show: http://www.youtube.com/watch?v=81Ssk1beSmE The YT description says it’s from a french tv programme called ‘Les enfant du rock’ in early 1983. I notice in the studio New Years Day clip above, Edge has a black and check shirt,the same shirt worn in the “Two Heats Beat As One” video which was filmed in Paris on April 3rd (per U2 Diary 1st edition). The Edge wore this shirt a lot during this period, however, it is clear they were in Paris for a few days, they shot the Two Hearts video, and played a live gig on April 3rd at Bourges. It also appears that the French TV Documentary including the 2 “in the studio” tracks and the interview, were probably also done around this time also. An educated guess, is the documentay could have a “filmed” date of early April. Great help, thanks guys. Looks like this was done in early April, 1983, while the band was in Paris. Annica – I have your last name and will credit you in the book for your assistance. @paddyattitude — your email is familiar to me, but could you please either reply with your full name or send it to me via email? Thanks. I’m gonna go out on a limb and say that these videos were recorded earlier than April of 1983 in Paris. In fact I’m gonna put these right around the time of the Pre-War tour of late 1982. Her is the evidence I think will support my claim. If in fact these two videos were recorded in April of 1983 around the time that U2 filmed the “Two Hearts Beat As One” video in Paris, than answer me how Bono’s hair not only grew an inch or two, but also became less “Blonde/Bleached”? That overly “Bleached” look of Bono’s made it’s debut during the “A Celebration” Video which was filmed sometime in the summer or fall of 1982. Adam’s hair is also a give away as it appears more fluffy in the two studio videos, then it does in the Paris”Two Hearts Beat As One” video. One can explain Adam getting a hair cut prior to the video, but in Bono’s case, not only would he have to get it styled or cut, but it would have to grow a few extra inches and would also have to be “unbleached” or “darkened” to look like it does in the official “Two Hearts” Video. Now let’s also keep in mind that New Years Day was the first single off War released in Jan of 1983. We all know that the video was shot in Sweden at the end of 1982. We can then also feel pretty confident that any promotional pictures needed to accompany any album art for the single would have to have been done around the same time or maybe even earlier. If we take a look at the 12′ Cover photo for New Years Day (the one with Bono wearing his Black Preacher Hat and the four of them standing in the tall grass or tall weeds) you’ll notice Edge is wearing the infamous “Checked Shirt”. Now if we continue to look back even further the Pre-War Tour had U2 from Dec 8th-the 15th either in Belgium, Netherlands or Sweden. Just because the two studio versions of the song appeared on French Tv, doesn’t automatically mean they were shot in France. Any of those locations U2 were in during those days is close enough that a TV crew could travel there and film them in a studio, it’s done all the time. Now by the time I saw U2 in May of 1983(a mere month after the “Two Hearts” video was filmed) in Albany Ny, Bono’s hair was the more toned down “black with a little bleach on top” look as opposed to the very Bleached Look of the two studio versions of the song. Now I could be way off on this, but as we know U2 holds certain looks for awhile and then changes them up. During the earlier period of their career around this time, the only thing that really changed was Bono and Adam’s hair styles. So when ever a question is asked as to when or where certain things may have occured or been recorded, I often go back to the look or style U2 was sporting at the time, and that is why I’m thinking this was late 1982. Would love to hear feedback from you and others. The hair is definitely different. Nice catch, Vic. I’m going to email some fans in France and see if they know anything about it. hi guys, in this episode guide of French program “Les enfants du rock” (on channel Antenne 2, re-named France 2 in 1992) http://hardprog.pagesperso-orange.fr/les_enfants_du_rock_episode_guide_1976.htm, it’s said u2 aired on St.Patrick 1983… good choice!